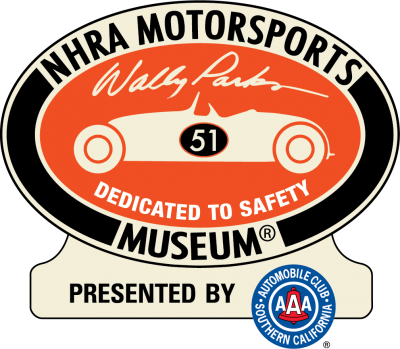 Motorsports Museum presented by the Automobile Club of Southern California will produce a special plaque for you to honor them and place it among the hundreds already on display in the museum. These beautiful 5×12-inch maroon and silver plaques honor individuals, families, and accomplishments in all facets of racing and have quickly become a major museum attraction. Consider a plaque for yourself — and your family — as a supporting member of the 1320 Club. And look at securing plaques as a lasting tribute to those who have been important in your life and career. Your total contribution to the ongoing work of the museum is only $300. Duplicate plaques available for an additional $90 each. Interested? Please download the brochure and mail in with your payment. Click Here for the 1320 Brochure. The following names are the current 1320 Club Members and the location of the plaque in the museum. For more information about members and plaque location, please contact the museum during regular business hours at 909.622.2133. JOE AND LOIS MAYALL (by Mike Chrispyn) Frt Dr.